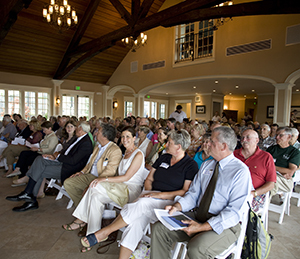 Friends of Acadia invites members and the public to our Annual Meeting. Held each summer at the Bar Harbor Club on West Street in Bar Harbor, this fun and informative event is your opportunity to meet FOA staff and board members, hear about recent accomplishments and initiatives, then enjoy a reception on the terrace overlooking the harbor. The winner of the Marianne Edwards Distinguished Service Award will be announced. The Marianne Edwards Award, for outstanding accomplishments in helping Friends of Acadia and the park execute their respective missions, is Friends of Acadia’s highest honor and is named for our founder and the award’s first recipient. All are welcome. Limited Seating, please RSVP to rsvp@friendsofacadia.org or call 207-288-3340.